​the criteria that is most critical to you. 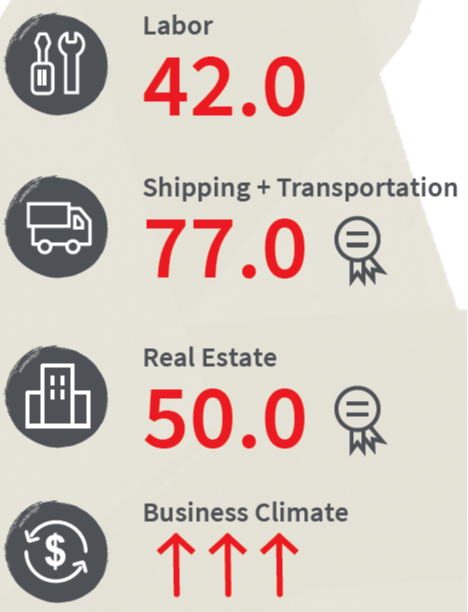 On behalf of JLL, we are pleased to present the Indianapolis Distribution Location Report. In this report, you will find information regarding the relative superiority of each of the nine major business parks catering to modern, sophisticated distributors. ​Indianapolis is in consideration for most large-scale, regional/ national distribution operations. The purpose of this report is to further assist our clients in finding the most suitable locations within Indianapolis based on the criteria that are most critical to their business. While several factors ultimately contribute to site selection, this report focuses on labor, transportation, real estate and business climate. Relative scoringThe scoring is based on an index with “100” being a best-possible (yet, unattainable) score in any given category. It is important to note that each score is a relative score as each business park is compared to each other. Some of the results validated market sentiment while others were more enlightening and even surprising. For instance, Plainfield scored well in Shipping and Real estate but not as well in Labor. This would seem to confirm the current attitude of the market. What was surprising? The Labor scores in AllPoints Midwest and Ameriplex which were superior to their adjacent neighbor in Plainfield. ​Each business park begins to show its own particular attributes and challenges within the report. This will be a dynamic report and scores will ultimately change – especially in categories such as labor and real estate – as various areas grow.